Donatella Versace launched her long awaited line,Versace for H&M, four days ago in stores all across the globe. I arrived at 6am, and still managed to get all the stuff I wanted. 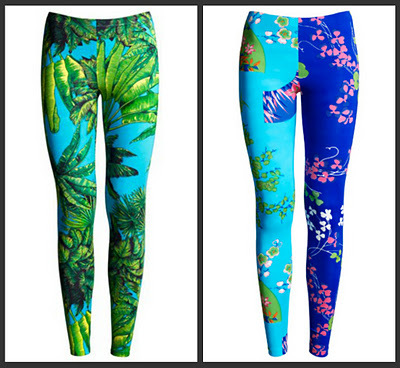 You can never go wrong with a pair of leggings. They have a resort feel to them,which I love! ($29.95). 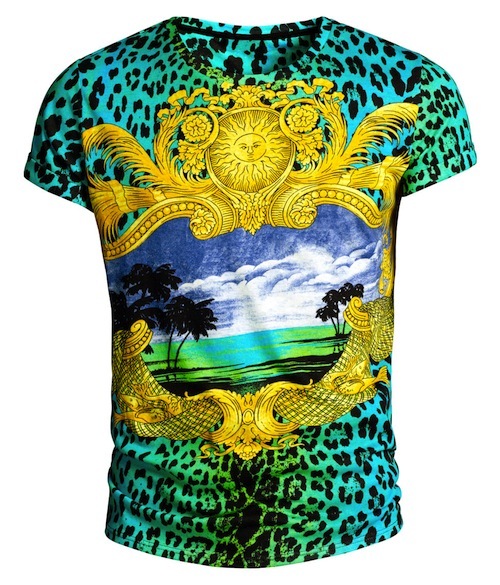 This soft jersey t-shirt is from the men’s collection. 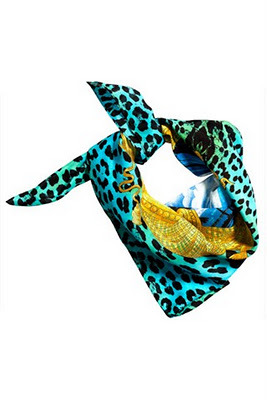 The turquoise background with the leopard print and enormous gold detail gives it a rock and urban streak ($24.95). A scarf to me is a closet essential ($34.95). 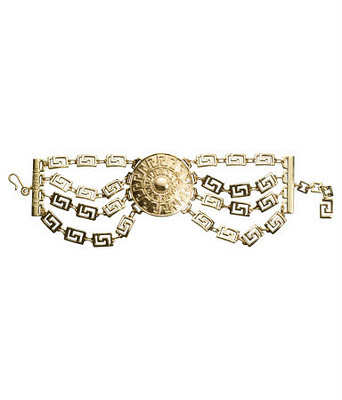 I love stacking up on statement jewelry like this emblem choker. They come in handy when you want to give your outfit an edge ($39.95). Hope everyone has a lovely turkey day tomorrow, i know i will ;D.
Hello there,So sorry about that. 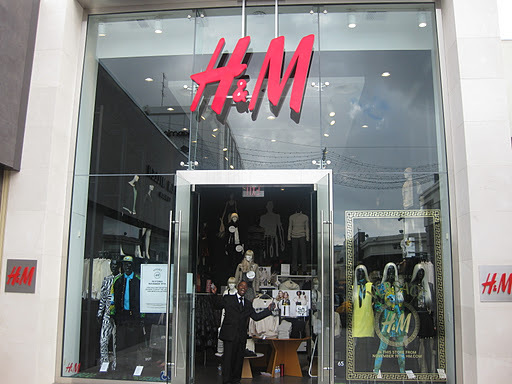 You are not going to find it on the h&m website, considering they collaborated all the way in fall 2011. You should however be able to find it on ebay.Good luck!